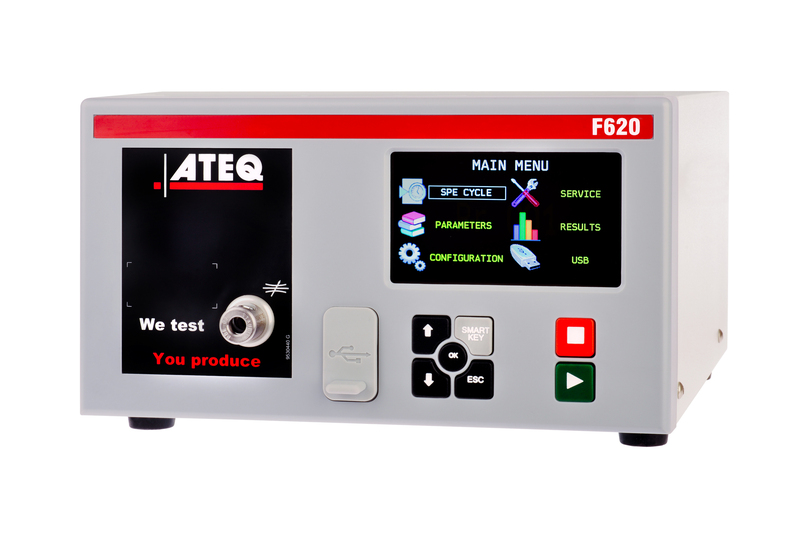 After 40 years, and 100,000 testers installed in more than 5,000 customers worldwide, ATEQ presents its revolutionnary leak tester range : the F6 series including a compact leak tester F620, a weatherproof leak tester F610 and the F670 in its 19″3U industrial format. New electronic module, new measurement module, new interface, new accessories… All has been made to improve your quality control. And yet, inside can be found the latest leak testing technics and technology that will garantee you the fastest and most accurate leak testing cycle on the market.